But the channel options aren't all that's changed. “Buyers have changed,” Goulet said, noting that in high-tech it's no longer just the IT professionals buying technology; there are more and more business buyers buying it, as well. “So, how do you speak to them?” she asked. One way Goulet is able to answer that question is by being one of those business leaders involved in rolling out technology in her organization. 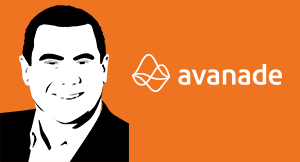 Avanade implemented marketing automation shortly after Goulet joined the company. 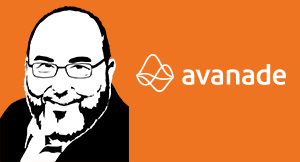 That process underscored the importance of marketing/IT collaboration. “You need to be that ally with the CIO to get the full value of marketing technology,” she said, adding that the C-level is just the beginning. The digital marketing leader on Goulet's team has a counterpart in IT who he collaborates with on an ongoing basis. One essential element of their respective roles is to “translate” for their teams, because, as Goulet pointed out, the teams each speak a different language. 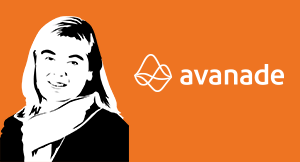 Like many of the other marketing leaders now immersed in technology, Goulet is also thinking through how Avanade can be a more digital business. One element of this is how to get a better view of customers. Another is improving its customer experience—especially online. “The consumerization of IT has led people to expect a better [online] experience,” she said, adding that they expect fewer clicks and more personalization. Today, companies will rise or fall on how customer-centric they are. CIOs and CMOs must work together with unified vision -- the CIMO Perspective.